If you want a traditional Hot Chestnut Seller, Gus is the man with the hot nuts. Gus has been in the hot chestnut selling business for over 30 years and always provides a very professional chestnut service with customers always leaving with a smile! Seasonal festive treats, bring back memories of days gone by! Delicious aroma of roasted chestnuts, caramelised peanuts, hot mince pies and warm mulled wine, all served from our purpose made street vendor's carts and fire grills. Themed Victorian staff . 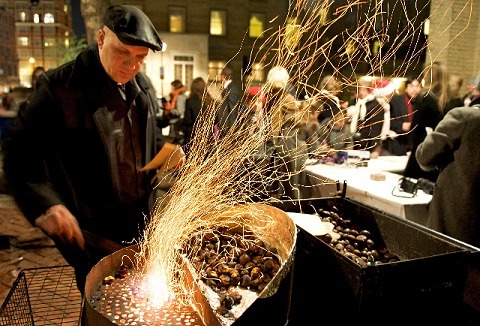 Are you thinking of holding a Christmas event, whether it's switching on those town centre Christmas lights, corporate party or festive charity function then our traditional hot roast chestnuts and mulled wine stall will certainly keep out the cold. 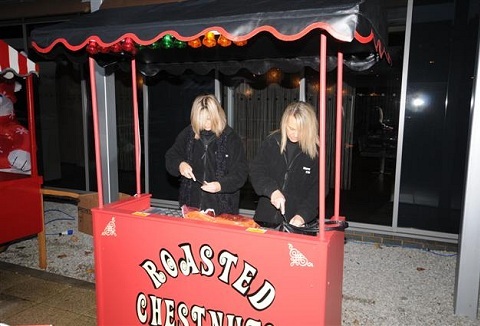 If you are organising an event over the Christmas season then why not consider a hot chestnut seller to add atmosphere to your event or occasion. 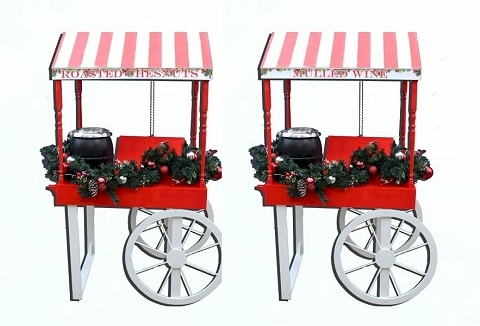 Our hot chestnut barrow is ideal for Christmas corporate events, Christmas markets, festivals and weddings. 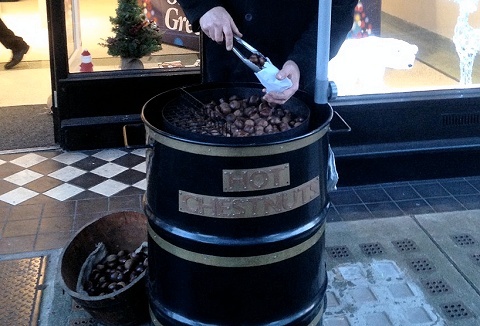 Chestnuts roasting on an open fire, in addition to our range of inflatable amusements we also provide a mobile roast chestnut service ideal for Christmas shopping malls and winter events. Why not also take a look at our inflatable Santa's grotto. Looking to create a seasonal winters atmosphere? Consider one of our hot roasted chestnut stalls operated by a member of staff. 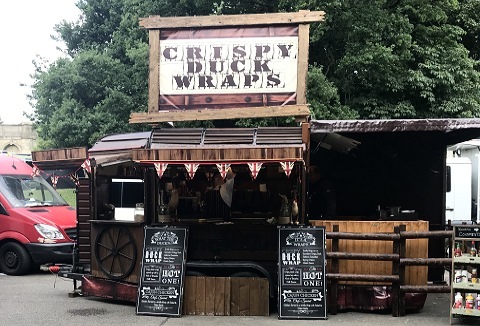 Hot chestnut stalls are ideal for any Christmas market or seasonal fair & are ideal for weddings, private and corporate events. 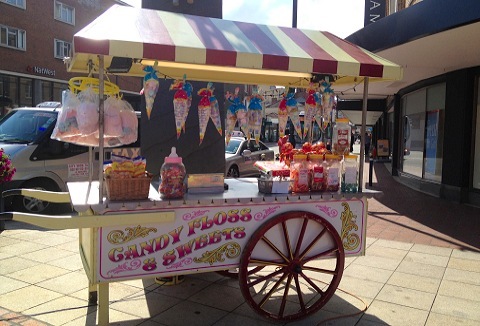 We own, hire and operate chestnut stalls, a great winter warmer that can provide the ultimate touch to your winter themed event and Christmas exhibitions. So whether you are organising a public, private or corporate make sure you have chestnuts roasting. 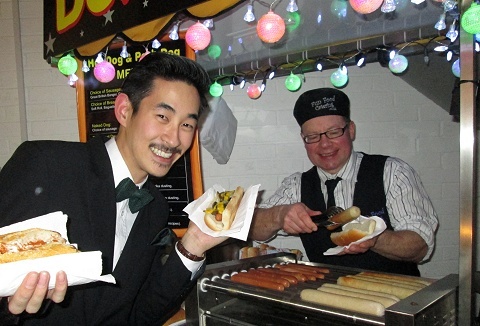 Get away from the hustle and bustle and take a step back with southern hospitality street food that caters at all sorts of corporate and private events, big and small & will leave you full & satisfied. 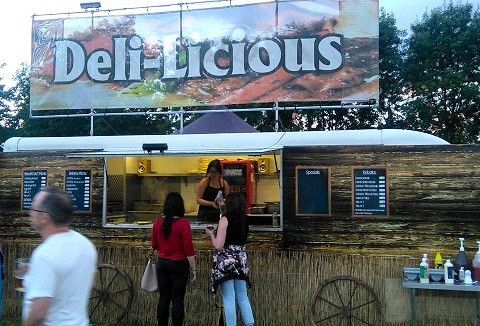 Southern hospitality street food that eats real easy.